What is it that makes a truly effective piece of graphic design? Is it just the skill that allows an artist to balance shape, color, texture, typography, photography and negative space to send a message – or is there a bit of magic to it? Creative talent is a tricky and elusive thing for most of the population, but some lucky people have it in spades. 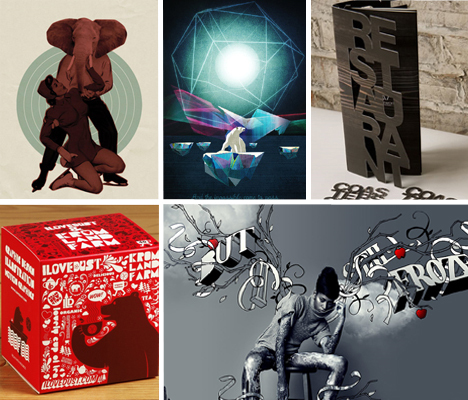 These 15 graphic designers have managed to create work that stands out in a crowded field, using a diverse array of techniques, programs and materials. 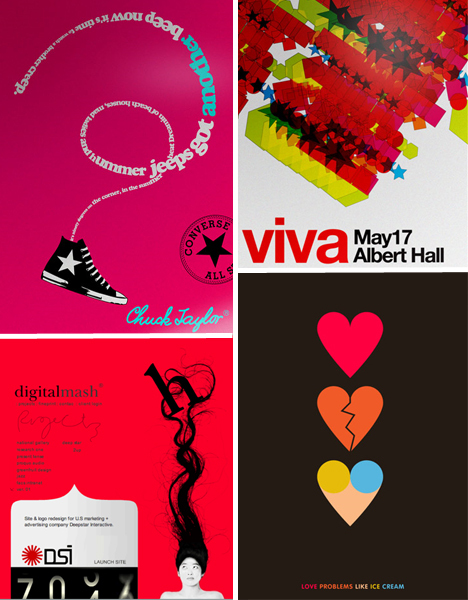 Joshua Davis is one of the most influential talents in the history of graphic design, with an incredibly vast portfolio of work that has made a deep impression upon many other graphic artists worldwide. Davis, who is now a professor at New York’s School of Visual Arts, pioneered a type of graphic design that utilizes Flash-based programs that he created himself to build images of “dynamic abstraction”, as Davis himself describes them. If there’s one element that ties all of Chuck Anderson’s creations together, it’s light. 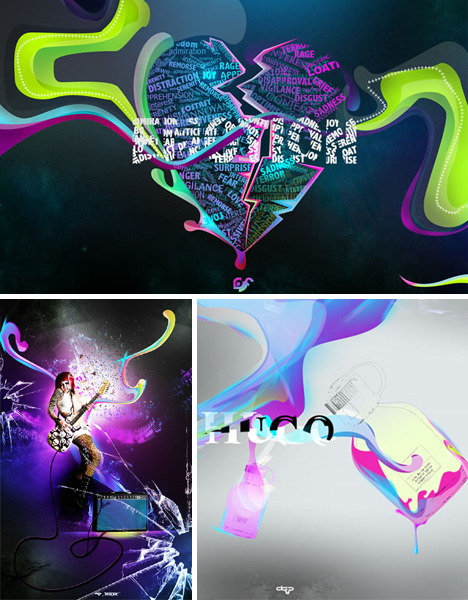 Anderson’s work is bursting with light effects that make his designs crackle with intensity. 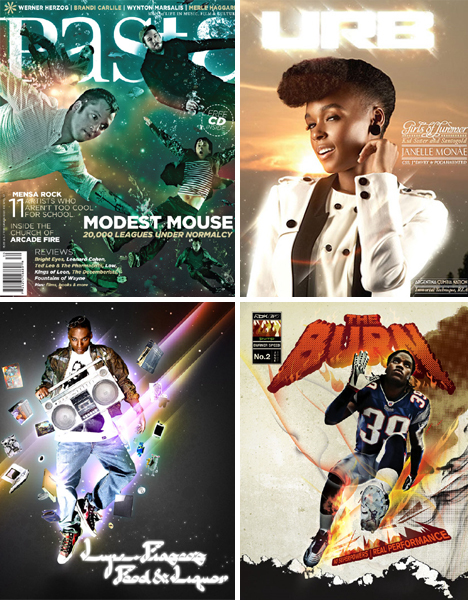 The prolific young designer has worked with an impressive range of clients including Paste Magazine, ESPN, Reebok, Absolut Vodka and Honda. Graphic design, concept art, art direction, illustration, 3-D modelling – Dries Schaballie does it all. Co-founder and director of Sevenedge Interactive Media, Schaballie has a fascinating portfolio of works that are alternately dreamlike, gritty and playful. 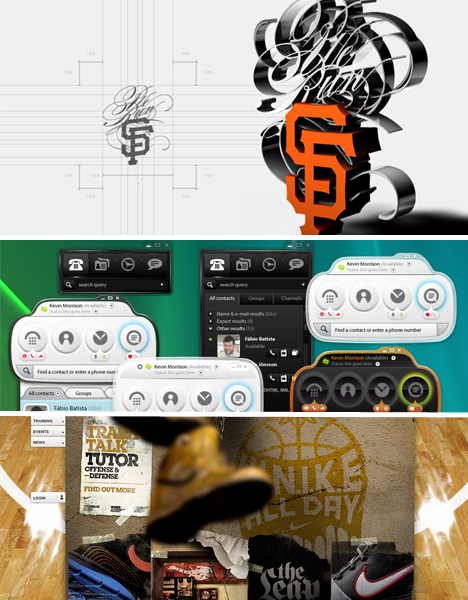 San Francisco-based, Italian-born graphic designer Simone Magurno has worked with Nike, Microsoft, Xbox, Target, GAP and many other clients and her work has been featured in Computer Arts Magazine and Digital Arts Magazine. Her designs, which are often web-based, have a clean, slick, modern quality that really allows the content to shine. The team at ‘I Love Dust’ design – one part Icelandic, five parts English and one part Chinese – can’t be separated from one another when it comes to their work, but their designs speak for themselves. 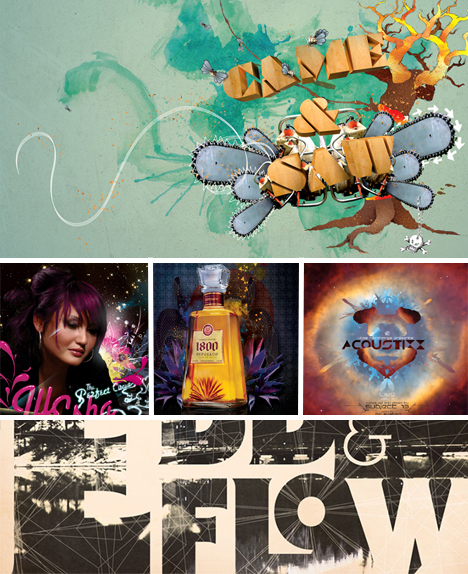 Specializing in graphic design, illustration, motion graphics and product design, this team of creative powerhouses has one of the most distinctive styles in the biz. 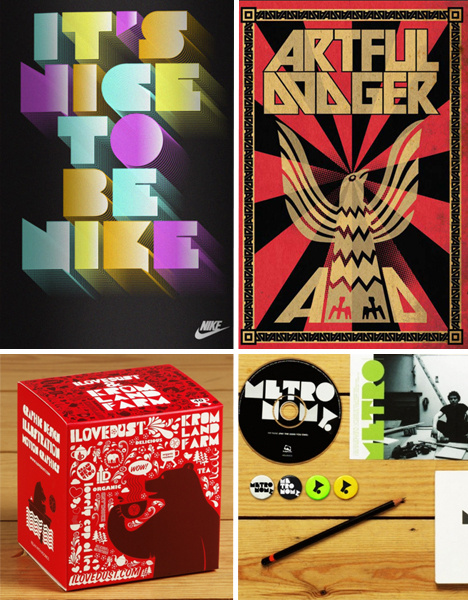 Erik Finsrud, known as ‘The Norik’, went to school for audio engineering but fell in love with design somewhere along the way and now spends his days creating colorful graphic art for clients like Spike TV, Nestle, 1800 Tequila and Universal. 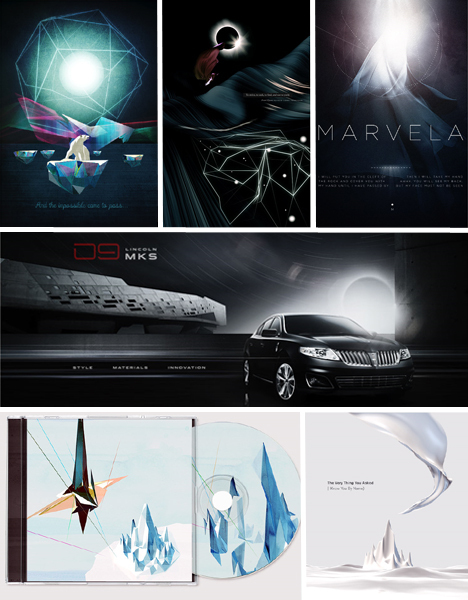 Graphic designer Paul Lee of Los Angeles has worked with Lexus, Acura, Google, Adobe and Sony. His work has a characteristic elegant iciness to it that makes it all the more memorable, and results in a cohesive portfolio that reads almost like one continuous piece of sophisticated design. 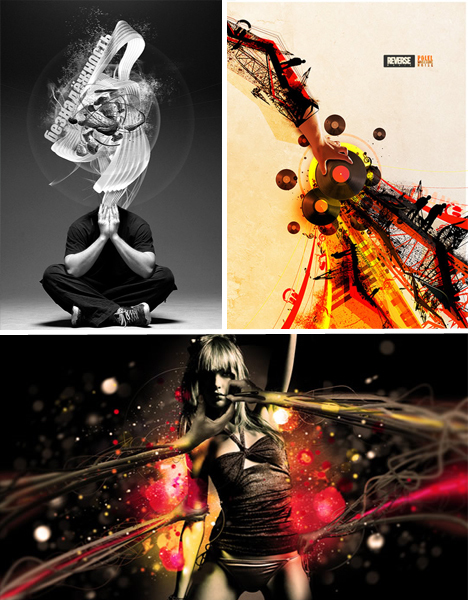 Vienna-based artist and designer David Mascha who has been working with several different design studios since 2005. 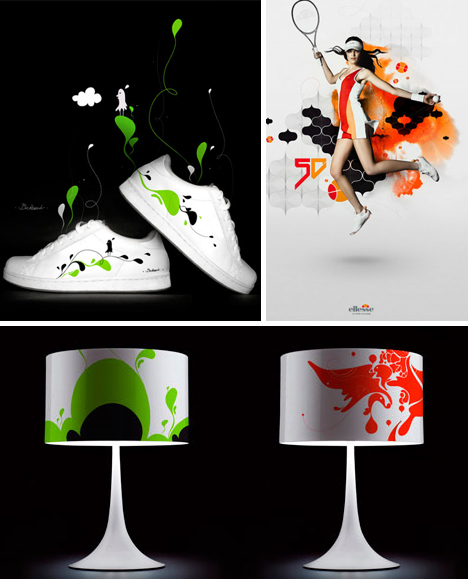 Mascha’s work has been displayed in exhibitions in Asia and Europe, print magazines and books and has also appeared on lamps, furniture and clothing. 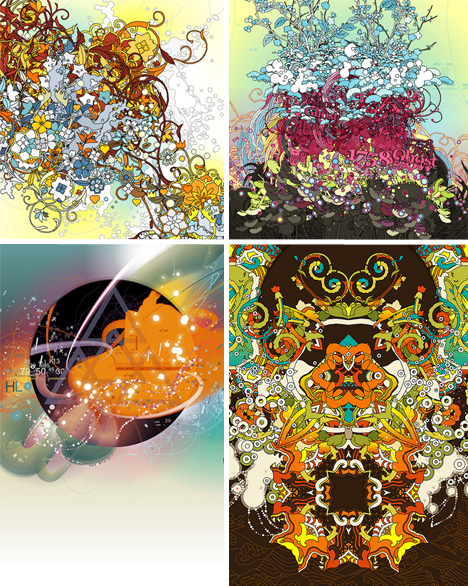 Mascha has a whimsical abstract style, employing bright colors and bold patterns and shapes against stark backgrounds for maximum graphic effect. 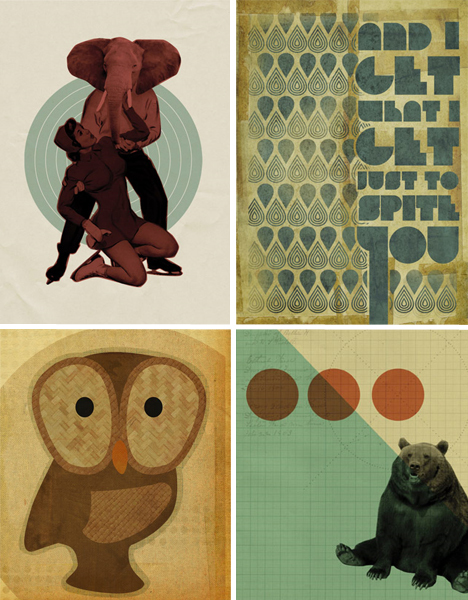 Kevin Lucius is a graphic designer from Columbus, Ohio. Among his more recent work, an interesting retro modern aesthetic has emerged, mixing vintage colors, textures and imagery with clean, modern shapes. Bold, exciting, fresh and most of all, fun: all of these words can be used to describe the work of Montreal graphic designer Julien de Repentigny. 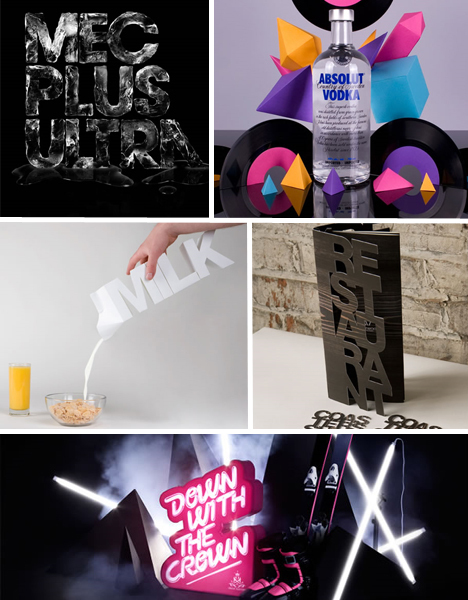 Typography takes center stage in three-dimensional designs created from materials like paper, ice and candy. Such unusual physical methods of creating his work might just make him the antithesis of completely computer-reliant graphic designers. Ghana-born, Italy-raised and UK-based graphic designer Kofi Ansah is only 20 years old, but his eye-catching work leaves little doubt that he has a long and distinguished career ahead of him. Ansah is currently an undergraduate student at the Ravensbourne College of Design and Communication in Chislehurst, Kent. Creative partners Toke Blicher Moller and Jeppe Bingestam, a.k.a Formtroopers, run a full-service progressive design studio in Denmark with a particular focus on motion and graphic design. 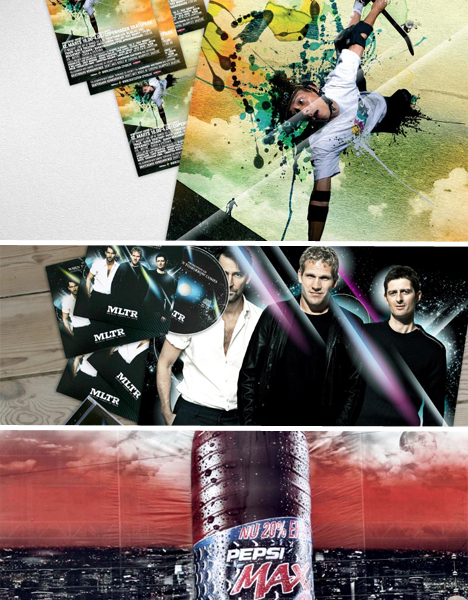 Clients include MTV, The Discovery Channel, Pepsi and Warner Music. 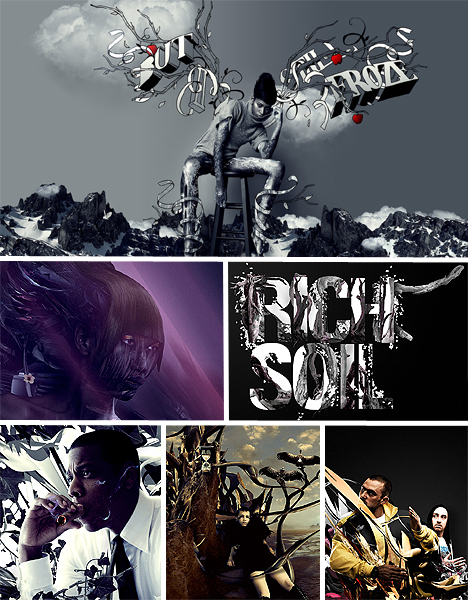 Australian graphic designer Rob Morris describes his style as “heavily influenced from the modernist school of design, employing simple shapes and clean typography.” His work has appeared in online design galleries, magazines and books worldwide and his clients include government departments, Broadway.com and rapper Jay-Z. Another Aussie, Justin M. Maller, has an altogether different style that focuses on his immense talent for illustration – but also, coincidentally, did design work for Jay-Z. 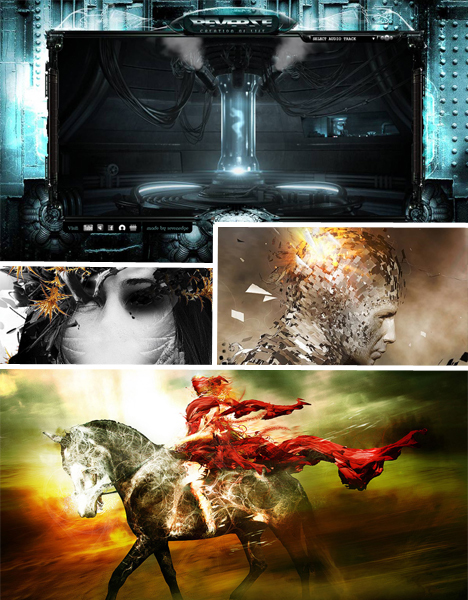 Maller, based in Melbourne, has produced concept art for a diverse array of companies worldwide and is the creative director of depthCORE, an international modern art collective.